In the world of software engineering, DevOps is a brand new term. DevOps refers to a concept that has been created by the merger of two concepts: Development and Operations. DevOps is basically a practice that aims at integrating the process of software development and software operation. The DevOps movement emphasizes on the automation and monitoring of all the steps that promote a better level of communication between the duo. The software was designed with the purpose of overlooking the software delivery chain along with shared services and for the promotion of innovative tools for development and best practices. The main emphasis of DevOps is over shortened developmental cycles, increased frequency of deployment and infrastructure management. The concept is a combination of two major key concepts in which the former is an agile operation and the latter proves to be an optimum arrangement between developmental and operational staffs throughout different stages. The entire concept of DevOps works on integration and unification. The two concepts and various tools undergo integrated behavior to produce an output. Developers and operations team are collapsed and merged into a single unit so that the developers can create the application lifecycle through development, testing, deployment etc. Certain DevOps models could be available with the précised assurance of quality and security through the lifecycle of the application. When the entire focus of the developers is on the security of the software, then such a software model is termed as DevSecOps. Earlier the concepts were old and antiquated, however, it has now evolved after going through various experiments and ideas. A technology stack and tooling device helps the developers to control and facilitate the use of the software easily and with reliability. The concept of DevOps involves unifying the application codes into the software repositories, commonly known as the repo, many times in a day. The continuous tools for unifying the application codes like Atlassian Bamboo and Jenkins and build tools like Maven and Ant are used together to verify the entered application codes. Continuous integration helps the developers to report to a shared repository using an application or source code system like GIT. Continuous Automated Testing is required to ensure smooth and satisfying results. For automated testing, the need is to unify the required tools for constant integrated behavior. Constant testing is a pre-requisite condition for constant delivery. DevOps requires automated and repeated testing schedules that unify the processes of development and ensuring the absence of errors while enabling continuity. Virtual machines are available which are quite flexible and are payable as per their use. It would be beneficial to design a cloud instance that would unify various environments including testing, development, staging, and production. If configuration management is to describe in simple words, it can be defined as a system of engineering processes of software that set the foundation of a software’s performing ability, functional and physical characteristics. In the world of software technology, configuration management refers to the items or tools that conform and arrange the order of a project for its success. The process of configuration management allows in creating a setting that runs consistently in all kinds of environment. Some of the popular configuration management tools are a puppet, Chef, and Ansible and these can be used to easily manage the resources in the cloud environment. It is another continuous software practice or sub-concept of the DevOps software where the changes in the code are created by the software autonomously, are tested and then released for production. The process of continuous deployment relies on the process of continuous integration which happens by transferring all the changes in the application codes to a certified testing environment. It can be used for delivering package file that is ready to be transferred to any kind of testing or production environment. This application runs at an increased velocity allowing the customers to adapt and grow more efficient results. A DevOps model allows its users to attain faster adapting and extra efficient results. The innovation and improvements in the software pace up because of the increased frequency. The model allows the developer to release new features quickly and respond to the customers’ needs at a faster rate. DevOps cultural model pays emphasis on values such as ownership and accountability. The collaboration between the developers and the operations team results in shared responsibilities and combined workflows resulting better work output. The DevOps model provides scope for increased security to the software than ever before while having control and preserving compliance. The improved security system allows the customers to rely completely on the new model without worrying at all about their software. DevOps is not only important for speeding up the process of software deployment and delivery but it is also important for ensuring the security of the software. 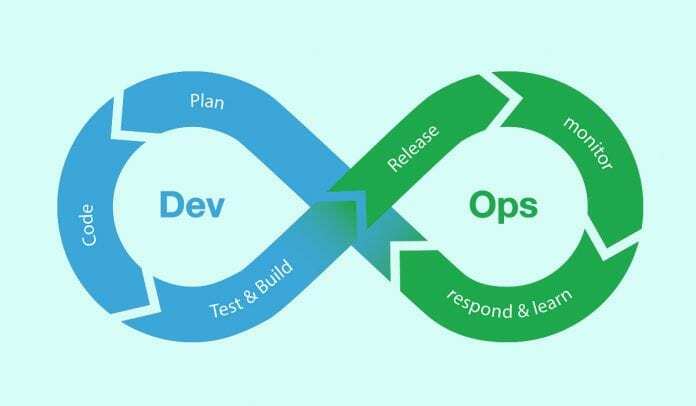 DevOps consists of a set of software culture guidelines or practices that are associated with the way in which a software’s idea is laid down, designed, deployed and produced. If a DevOps model is designed with utmost efficiency, it would reduce the time span that is required to design and execute the concept of a software. It even adds efficiency to the process of delivery of the software and allows the members of the team to finish the task at parallels with their fellow team members. Other benefits of DevOps include that it can help to fix the problem of coding and decoding in the process of delivering the software. DevOps induce a level of effective communication and support among the members to ensure the security to handle the software in a better manner.